The first formula card of the first Republic Latvia has the ‘sun’-design with L ***: the provisional state arms. This is the first printing, end of 1920. In the first printing -1920- the first bracket of (Latwija) is placed under the first ‘A’ of PASTKARTE. 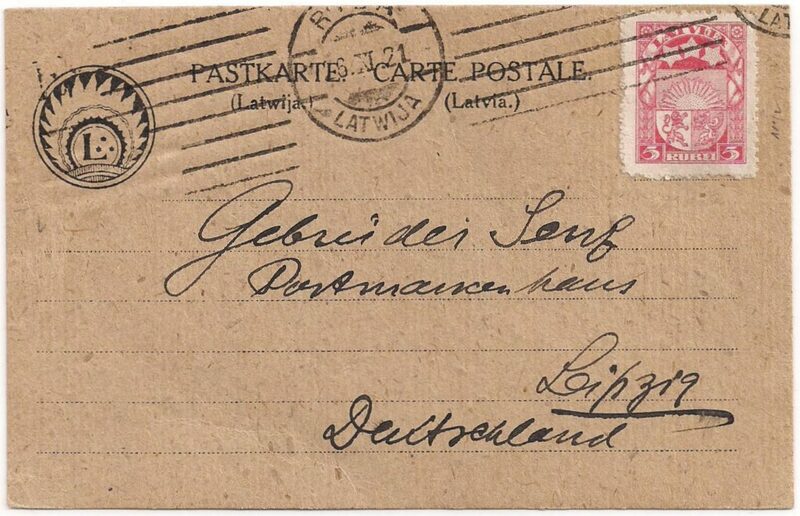 In 1921 a second printing is produced: the card here below to Leipzig in Germany. A formula card of the second printing, issued mid-1921. The card is vertically stripped (handbook VI b). Postage stamp is 5 r, perforation 11¼ : 11½ Mi. 82aR (in the handbook). Machine postmark Riga 26 XI 21, sent to Leipzig. 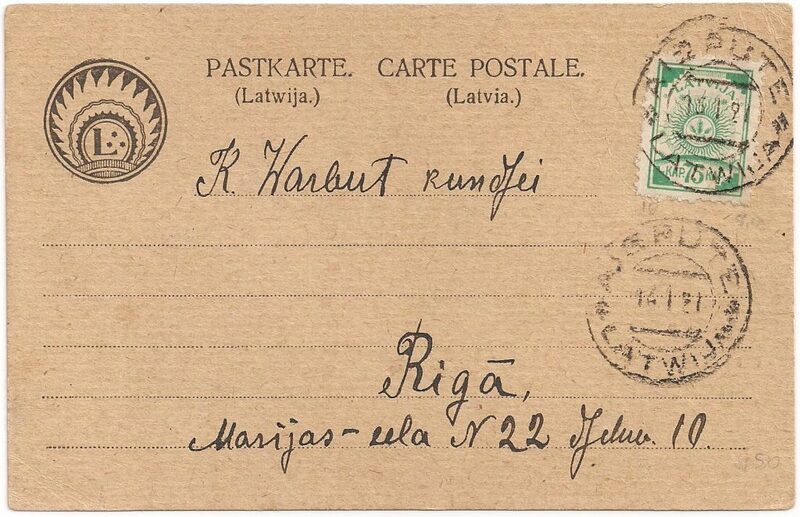 In the second printing-1921- the first bracket of (Latwija) is placed under the ‘S’.